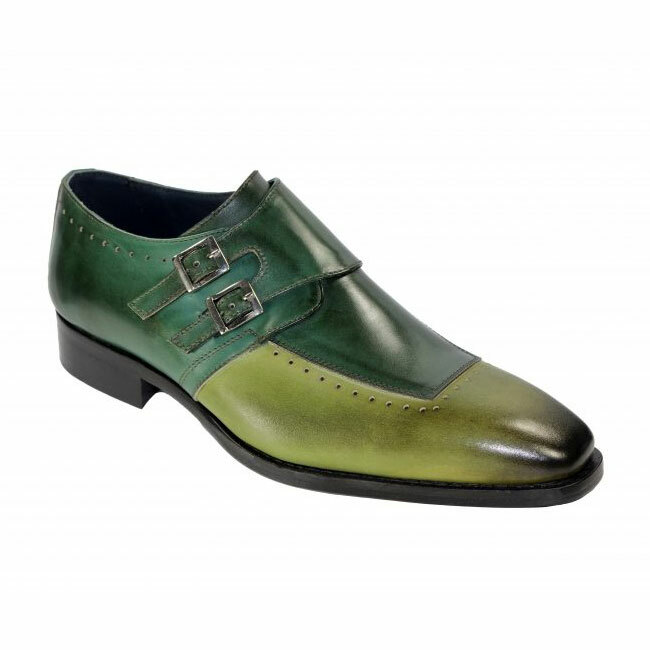 Beautiful double monk strap shoes with two tone finish leather lining and leather sole. Made in Italy. The Duca collection runs 1/2 large, we suggest ordering a half size lower than your normal size.